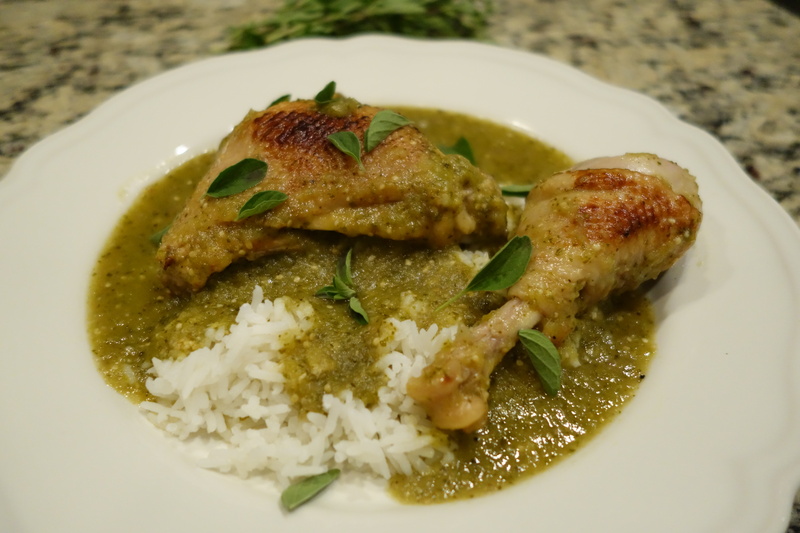 I love tomatillo sauce, but never made it myself until recently. 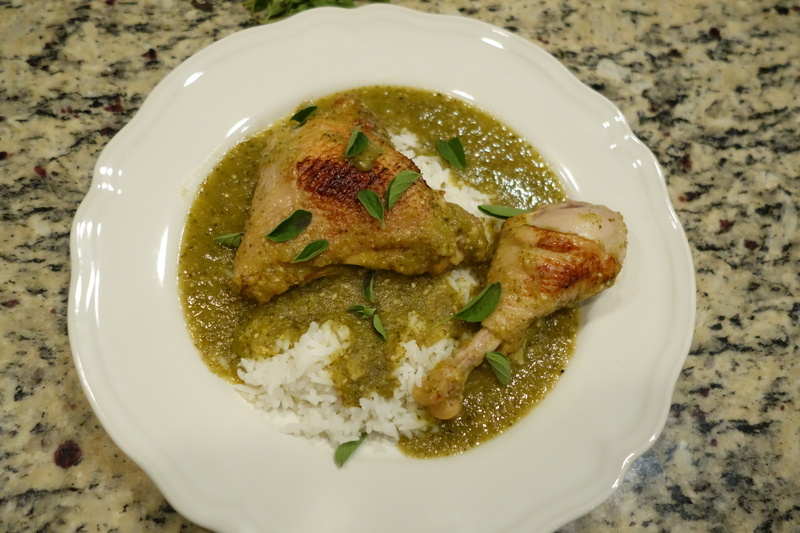 This recipe was in the Cooking Light December 2013 issue. I’ve been trying to use my amazing slow cooker more often, it sure does make preparing dinner a lot easier. I always make a full pot of whatever I’m making and we get to enjoy leftover (which often taste better) for dinner the next day. I followed the recipe from Cooking Light magazine pretty spot on. I love how these roasted veggies look and taste. One thing I really appreciated about this recipe is that is didn’t call for peeling the skin off the poblano chilies after roasting them. I blended the peppers with the skin and all. This sauce is very yummy. 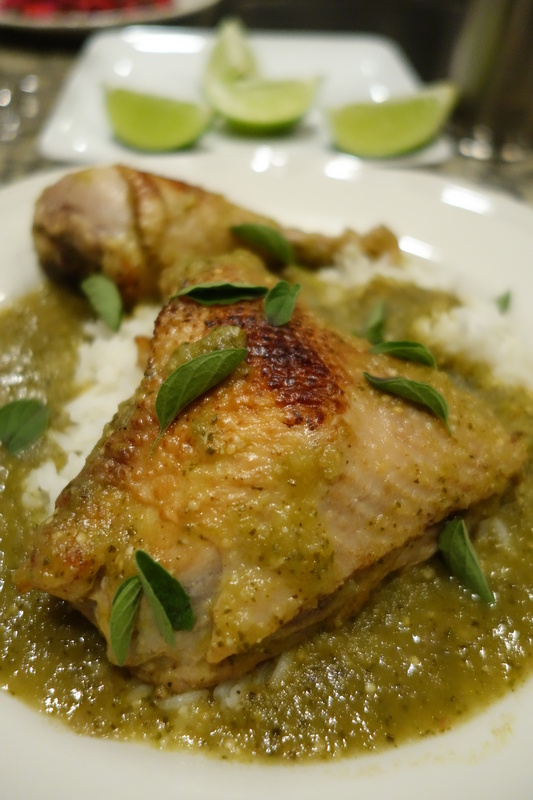 I will keep this tomatillo sauce recipe for the next time we have tacos. 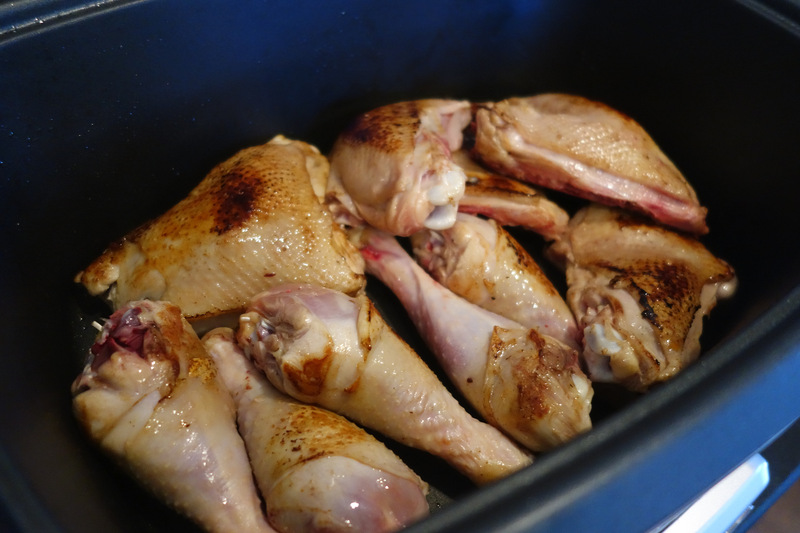 After 4 hours of cooking on low the chicken just falls off the bone.